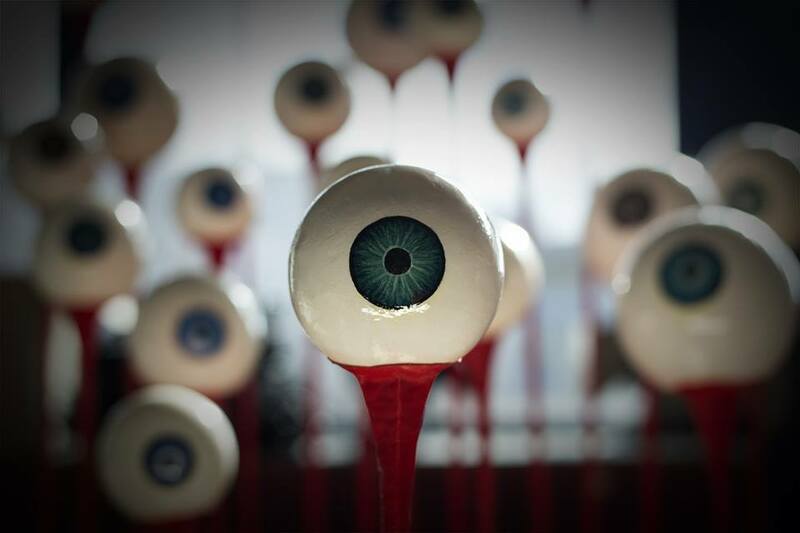 The Eyestalkers are a colony of watchful eyes. They stare unblinking from their window out into the world, tracking all passersby walking to and from the city centre. The staring eyeballs on stalks are there as a visible manifestation of all the invisible surveillance people are walking into when they go into the city, like the many hidden cameras or systems tracking your phone. 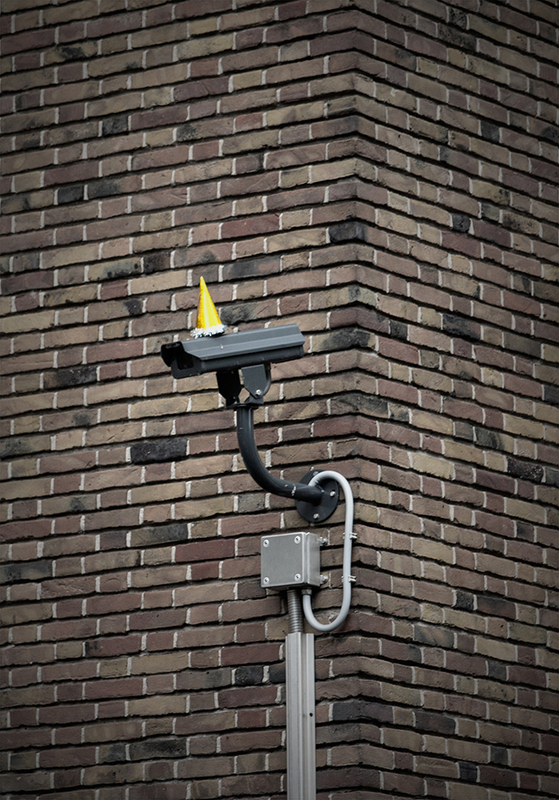 The Eyestalkers aim to create a tangible sense of being watched, to bring the surveillance out into the open, to create that necessary and warranted sense of paranoia that is lacking because of the elusive nature of modern surveillance. Because of their erratic, jerky movements they are real eyecatchers, so they are seen by all while seeing all. Eyestalkers is a FRONT404 project. 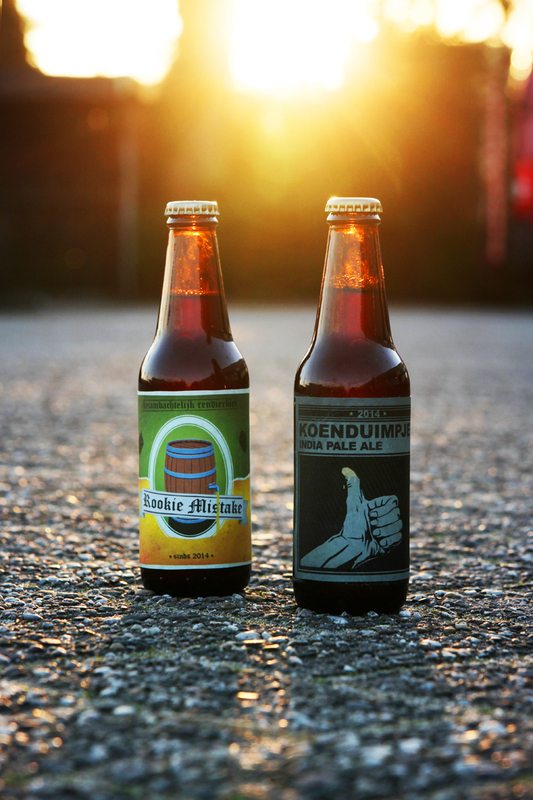 I brewed two batches of beer with some friends, so I had to design some labels. 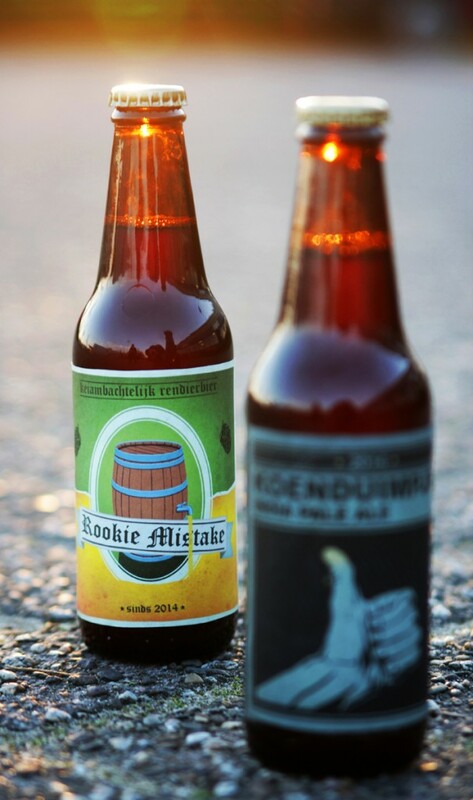 One of the beers is called Rookie Mistake because we left the tap open when pouring the beer mixture into the vat. 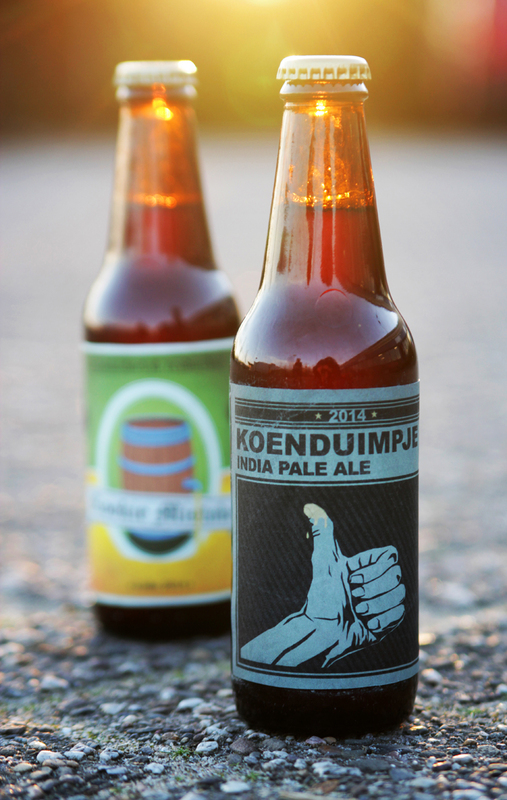 The other one’s called Koenduimpje, because my friend Koen accidentally put his thumb in the beer after we meticulously cleaned everything to avoid contamination. As you can tell, we’re real professionals. The beers are delicious though! This project was a collaboration between FRONT404 and Andrius Sta. 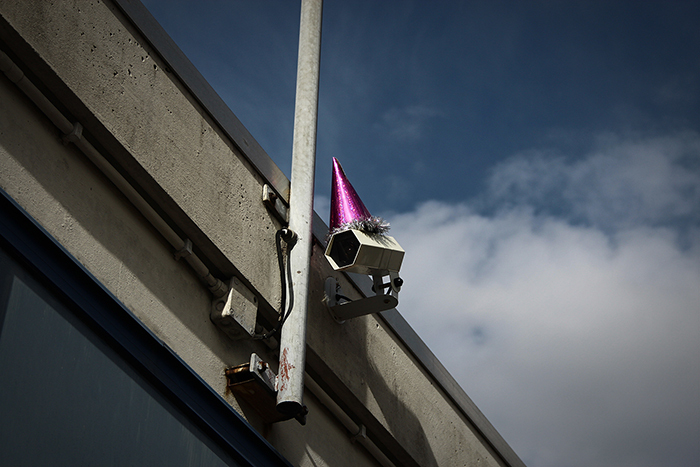 On tuesday the 25th of June, to celebrate the 110th birthday of George Orwell, surveillance cameras in the center of the city of Utrecht were decorated with colorful party hats! George Orwell is best known for his book ‘1984’, in which he describes a dystopian future society where the populace is constantly watched by the surveillance state of Big Brother. 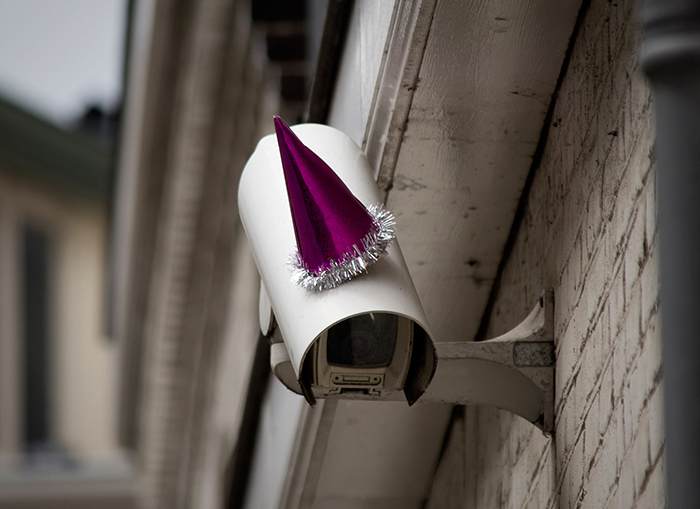 By putting these happy party hats on the surveillance cameras we don’t just celebrate Orwell’s birthday. 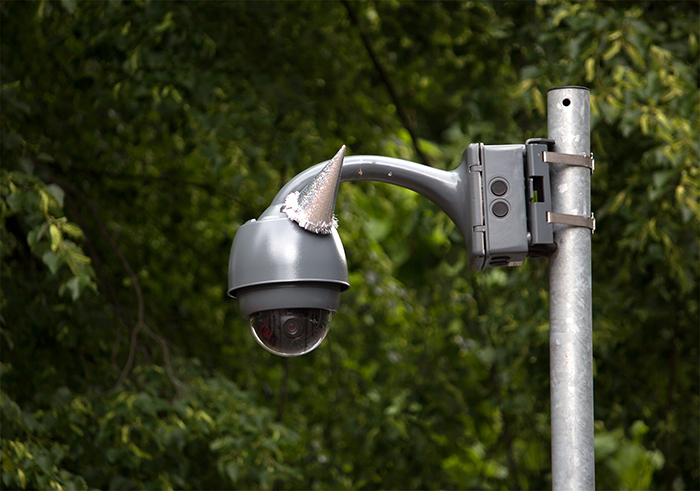 By making these inconspicuous cameras that we ignore in our daily lives catch the eye again we also create awareness of how many cameras really watch us nowadays, and that the surveillance state described by Orwell is getting closer and closer to reality. This was a FRONT404 project. You can find more pictures here. 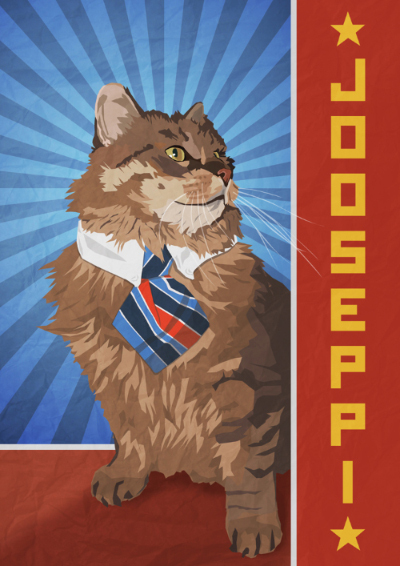 I made this poster of majestic cat Jooseppi as a secret santa present for someone.